If you are what you eat, what does that say about your entire business, made up of the cumulative eating habits of all your employees? Research now proves that what your employees eat directly affects their productivity, including absenteeism and presenteeism. A poor diet results in reduced productivity – it’s that simple. Influencing your employees’ eating habits is not just a moral issue, it’s a business imperative. Nutrition promotion and education, including clear and engaging information, support and motivation, are proven ways to create long-term changes in employee nutrition. But if you want to start right now, there are easy ways you can make impactful changes. You can start by changing your business “food traditions” – the food you serve at meetings, the way you celebrate birthdays/ anniversaries/ achievements, and the food available onsite. 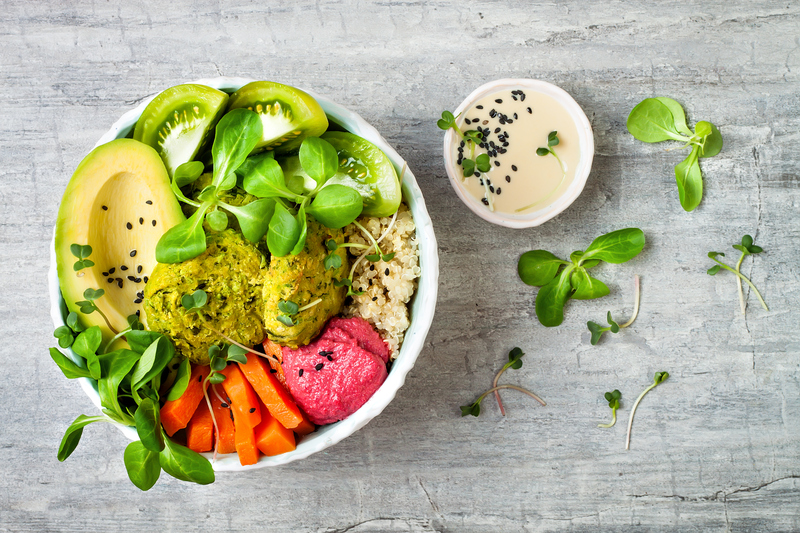 These changes not only encourage employees to eat better, but help you create culture of health across your entire business. At lengthy, pre-organised meetings or training sessions, what kind of catering do you order? These kind of meetings are often overflowing with pastries, mini quiches, cakes or even lollies – whether it be morning, lunch or afternoon. These are not only fattening, but actually decrease employees’ alertness, and can cause spikes and dips in blood sugar levels. Switching to fresh fruit, fresh veggies or salads and low-fat high protein snacks can make a world of difference to energy levels – and the overall health of employees over time. Instead of pastries, offer fresh fruit, or low-fat crackers with hommous rather than chips. For lunch, ask for wholemeal bread and salad options. You’d be surprised at how little it costs; and pleasantly surprised at how popular these changes are. When employees end up working overtime on urgent deadlines, what kind of food do you or they end up ordering? The classic go-to option for these sessions is pizza, often preceded by large blocks of chocolate. To encourage change, pin up ordering menus from healthy outlets around your meeting rooms, or circulate healthy options to PAs and others who regularly end up doing the lunch run or diner run. Subway, for example, have a “Subway Runner” online system, where you can make group orders and the organiser gets their Sub for free. If you have a canteen or tuckshop onsite, talk to them about increasing and promoting the healthy options. Your employees are their primary business, so it’s in their best interests to follow your suggestions. You could ask them to offer more fresh options, and less deep fried or pastry options (more wholemeal sandwiches, less pies &chips). Create healthy promotions, so instead of offering a $1 can of Coke with any meal, offer a $1 bottle of water, for example. Vending machines are another fabulous opportunity to shift habits. Instead of filling your machines with chips and chocolates, find out about healthy vending options. There’s a growing industry of healthy vending machine providers in Australia. In some workplaces, it can feel like every day there’s another cake. Someone’s birthday, another person’s work anniversary, an engagement. In other teams, it’s common for team members to bring in baked treats from home each day. It might be time to slowly start to change these traditions. For birthday cakes, start a new tradition of ordering individual fruit tarts, or a communal fruit platter. Or start a new team tradition of sharing healthy salads you’ve made at home rather than those chocolate brownies. As with all culture changes, the success is in how you do it. Coming down hard with a formal edict of “there will be no more cakes at work events” is not going to help you win friends or influence people. The key is to model the change you want others to copy; make small changes and talk about them positively and enthusiastically; and encourage positive feedback from people immediately after the event.